Are the Most Effective Workouts also the Simplest? If being self-conscious about appearance were not an option, what types of training would you focus on? 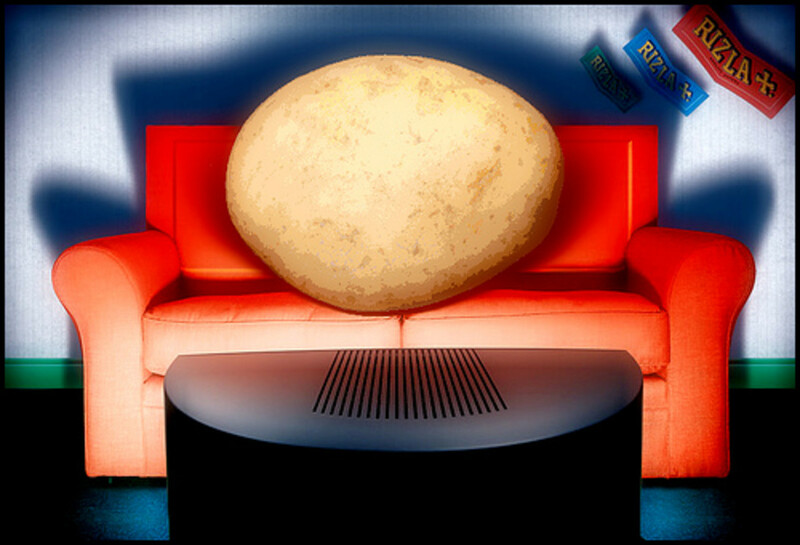 Probably the ones which made it easier to get through daily activities or avoid getting overweight. This means different things to different people. 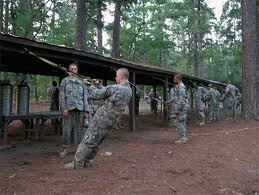 However, there are certain occupations where functional survival fitness must be maintained. Death or severe injury are the consequences of being out of shape, not strong enough, quick enough or able to keep the body moving just a little longer. The best of these occupational examples are soldiers, police, the border patrol and firefighters. These are all occupations where training time is precious, and it all counts towards getting the job done and surviving it. This is certainly true in the military, so I decided to start my search for the toughest barebones physical fitness regimen there. To get an idea of what the U.S. Military considered the barebones essentials for functional fitness, I decided to take a look at the typical program for basic and elite military units. Of course I expected to see certain things military movies have made famous; running, bodyweight calisthenics, maybe obstacle courses. But what lay just beyond the rudimentary? What special tactics did elite teams apply to get their members ready for aggressive action, survival and trauma? The search began by looking at basic bootcamp style workouts and conditioning drills for the military. Nothing too complicated here, in fact the basic requirements seemed like nothing more intense than what you find in a high school P.E. class. To pass the Army APFT-taken twice a year, a 17-21 year old male needs a minimum passing score of 60, which means performing at least 42 pushups in 2 minutes, 53 sit-ups in 2 minutes, and running 2 miles in no more than 15:54. Of course these are the minimums, but even people in average shape should be able to pull that off. -100 pushups in sets of 20. After the bodyweight exercises, run 2 miles. The first mile go at a slow to steady pace, the second pick it up to a run. Now aside from the psychological stress recruits are subjected to during training, I felt there was something missing. These were professions where the potential for facing mortal danger was always there, so what training methods were used to simulate walking into hell? To find out I looked to the U.S. Military Special Operations Units. -Running 3-5 miles at a fast pace five days a week. -Performing hikes with a thirty to fifty pound pack once or twice a week for five to fifteen miles each. Moving fast of course. -Pullups: 75-100. The literature suggests breaking it down into sets of 10, but I suppose if you can knock it out in two sets, go for it! -Push-ups: 200-300. Again, broken down into several sets and done in succession. The suggested number of reps is 20. -Sit-ups: 200-300 broken down in to sets of 40 or 50. Keep in mind, in actual training it is a good bet only the perfect repetitions will be counted; so each of these exercises must be performed with perfect form. Now this is just the preparation. Imagine adding fatigue, hunger, sleep deprivation and mental stress to the equation. One begins to get a glimpse into the concept of conditioning these warrior athletes. Of course it’s fairly common knowledge that the military uses this tactic of strengthening the mind by breaking down the body. It seems obvious; until you try it. Even next to the Green Beret training, no better example seemed to exist of this concept than in the BUD/S training program for the Navy SEALS. Just to get into the training, the candidate must have superior mental discipline. Push-ups (there are those dang pushups again!) First, they will not be counted if they are done wrong. Second, the minimum is 42 in 2 minutes. Wait a minute; the army only requires 42 for their biannual physical fitness test, what’s the big deal? Well apparently, the average is 100, in perfect form, in 2 minutes. Sit-ups and Pull-ups are the same way; the minimum acceptable is relatively low, but it is well below the average accepted candidate. Beyond this, the SEALS expect their future buddies to run a mile and a half in pants and boots in less than 10 minutes. Although minimums are established for BUD/S, the message is clear; no one survives by doing the minimum. If you wish to make it through this intense training, aim to break records. Imagine trying to survive the daily physical tests and the mental anguish reaped on you when your fitness was only just good enough to get in. There are other aspects to all of these training programs going well beyond calisthenics, but to get an idea of how much more of this would have to be performed during training, I took a closer look at some official SEAL footage. If a marathon is one of the ultimate tests of running endurance, this type of relentless body battering is the marathon of mental endurance. Sure, your muscles have to be trained to endure, but one way or another the mind will decide your fate. Imagine, you are wet, cold and wearing nothing but shorts and combat boots. Or worse yet, wet and cold in full gear. 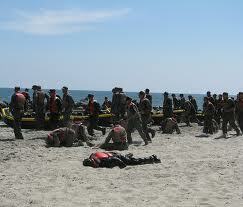 Then you are made to roll in the sand and do more training. Then for a rest you get to lay down on your back in the cold water, holding your head up for 10 minutes? 30? An hour? Who knows. One of the most original clips I found involved the instructors lining the recruits up for an uphill somersault race in the mud. In the middle of the night. Props for creativity, I will say that. Not something you’re likely to see at your next fitness bootcamp. 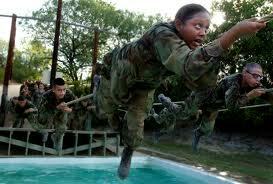 In any branch of the military the physical preparedness training has a lot of crossover. Pull ups, pushups, dips, sit-ups, leg raises; in other words bodyweight exercises. For cardio the menu includes running, swimming, hiking and/or marching; affectionately known as “rucking” when done with a 45 to 60 pound pack. No doubt individual teams utilize different training programs from time to time, and the soldier on leave may hit the free weights. Then again, fitness is a practical necessity, and being a SEAL, Green Beret or Ranger requires you to put a lot of time into doing things other than staying fit as well. So has the military always held the secret to ultimate functional fitness? Just how effective could hundreds of pushups, sit-ups and pull-ups be anyway? Well, if your goal is to become a nationally ranked powerlifter, this training will fall short. But, for the body of a lean fighting machine, the military seems to have stripped away the fat (no pun intended) and left only what is necessary. There are fitness innovations being utilized by people in the military, most notably the TRX suspension trainers These have not replaced the raw basics, though, and probably never will. To get a taste of how it feels to be in the same shape as a member of the military’s elite, work up to one of the workouts mentioned above. Once you can do one of those workout routines, you will probably be a believer. Packed with mind-stressing, body-draining tasks that test the mettle of any athlete, this phenomenal conditioning manual presents the best of the best as it shows you how to reach the highest levels of fitness. Every aspect of training is incorporated into the program, including warm-ups, stretching, upper body, lower body, cardio, running, swimming, goal-setting, and motivation. Can you Live Longer through Diet and Exercise? Reviews about high quality fitness products and equipment. Flex and Flow features the best fitness equipment for muscle building, fat-burning, and overall functional fitness. Top 6 Push Ups for a shredded and rock solid upper body! !